Middle Creek Roofing is an Amish, BBB accredited and award winning contractor that excels in metal roof installation. If you're looking to replace or install a metal roof, Middle Creek Roofing is your expert metal roof contractor in Greater Montgomery County, Chester County & Nearby. No matter what the style of your home, we can help you find a metal roofing system to fit your home and budget. Whether you choose standing seam metal, steel roofing or metal slate or tile shingles, you can expect quality products and metal roof installation from Middle Creek Roofing. To get a free estimate on metal roof replacement and installation in Allentown, Reading, Bethlehem or the surrounding area, call us at 1-717-210-5980 or click below to schedule your on-site metal roof cost estimate today! At Middle Creek Roofing we have the best metal roofing contractors in the business, with years of experience replacing and installing all types of agricultural metal roofs. We can replace the old roof on your barn with durable, weather-resistant metal roof panels. We offer a variety of roofing styles including gambrel roofs for any outdoor structure! Contact us today to discuss your roofing needs with one of our professionals. TAMKO's MetalWorks steel shingles offer the traditional looks of slate, tile and wood with the strength of G-90 steel. Contact us to learn more about the TAMKO steel shingle roofing products installed by our company. Everlast is committed to designing products that are solid and durable yet light weight and distinctively eye catching. Everlast is here to help you make your home beautiful, confidently. Elegant metal roofing panels that create a traditional standing seam roof, with the incredible durability and dependability of 24-gauge steel, all made in the USA. Lightweight: Metal is a much lighter material than many other roofing options, which means that no additional support will need to be added to the roof, a common issue with tile and slate roofs. Versatility: Metal roofs come in a wide variety of styles and roof colors, allowing you to choose the best look for your home and neighborhood. Metal roofing can also be designed to mimic the appearance of shingles, wood, and slate. 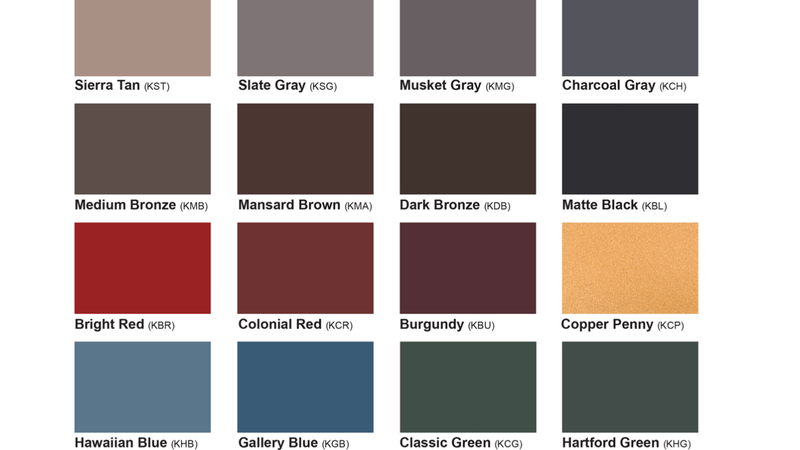 Not sure what metal roof color or design would look best on your house? We can show you pictures and designs to help you decide. One of the most common misconceptions about metal roofs is that they are noisy when it rains. While this might be the case on an old barn that doesn't have a solid roof deck, this isn't true for residential metal roofs. The roof deck combined with an underlayment helps dampen noise, so a metal roof is typically no noiser than other roof types. While very large hailstones can dent metal roofing, most metal roofing systems are manufactured to be hail resistant and won't be damaged by normal-size hail. Metal roofs have the same chance of being struck by lightning as any other type of roof material. A metal roof is non-combustible, so it is safer than wood roofing. Metal roofing is very durable, but it's best to check with the manufacturer on how to safely walk on the roof without causing damage to the metal panels. A solid roof deck also helps add stability. All types of roofs get hot, but metal roofing is considered "cool roofing," meaning that it reflects solar heat and can reduce cooling costs in the summer months. During the winter, the insulation in your attic is what affects the temperature, not the roofing material. During your in-home consultation, our roofing specialists will answer any questions you have about metal roofing and help you decide on the best roof replacement option for your home. "Middle creek Roofing representatives were very responsive to our needs. They understood and listened to our requests and made..."
"They cleaned up so well that when they left other than the gleaming roof it was hard to believe they had been there." They cleaned up so well that when they left other than the gleaming roof it was hard to believe they had been there. 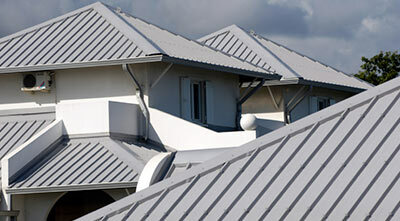 If you're looking for a metal roofing contractor, Middle Creek Roofing is your expert. We offer quality products and the know-how to install your metal roof right the first time. Contact us today to schedule your on-site consultation and get a free metal roofing replacement cost estimate in Reading, Allentown, Bethlehem, Lebanon, Newmanstown, Lancaster, Chester Springs, Wayne, Levittown, Haverford, PA or the surrounding area.